More than 66 million Americans are affected by some form of arthritis or joint inflammation. After your back, your shoulder is the second most common site for arthritis-related joint pain and muscle stiffness. Orthopedic surgeon and shoulder specialist Dr. Vivek Agrawal is an internationally renowned expert in the surgical treatment of shoulder arthritis. He sees patients from across the country and around the world at the Arizona Center for Hand Surgery, as their only shoulder specialist. Contact one of their locations in Phoenix, the Northwest Valley, or Mesa, Arizona for an appointment or a remote consultation today. What types of arthritis affect the shoulder? Otherwise known as “wear and tear” arthritis, this condition causes cartilage to wear away with age, eventually leading to the painful rubbing of bone-on-bone during movement. This inflammatory condition is the result of your body’s immune system causing deterioration of the joint and surrounding tissues. This type of joint deterioration can occur after an injury or trauma, such as a fracture or shoulder dislocation. When pain becomes chronic, increases, or affects functionality or range of motion, a shoulder joint replacement may be the best option. As with knee or hip replacements, shoulder replacement surgery involves removing the damaged parts of the shoulder joint and replacing them with artificial components, called a prosthesis. In a standard total shoulder replacement, Dr. Agrawal removes the ball and replaces it with an artificial one, typically made of metal. The ball is attached to a stem, which is inserted into the upper arm bone. He also replaces the socket with one made of plastic. Reverse shoulder replacements are used to address the debilitating shoulder pain caused by a combination of arthritis in the joint and shoulder instability. A reverse total shoulder replacement is the best option for patients who have damaged rotator cuffs (the system of muscles and tendons that holds the shoulder joint together). For these patients, a standard total shoulder replacement can still leave them in pain, and possibly unable to lift their arm past a 90-degree angle. In a reverse shoulder replacement, Dr. Agrawal places the artificial socket on the arm bone, and attaches the ball to the shoulder blade. This allows you to use deltoid muscles, rather than rotator cuffs, to raise your arm. What is a biological arthroscopic resurfacing? Biological arthroscopic resurfacing is a state-of-the-art surgical technique designed to address advanced shoulder osteoarthritis that affects younger patients who still have relatively flexible shoulders. This procedure addresses the main problem, which is advanced loss of cartilage, with a cartilage transplant. Dr. Agrawal performs biological arthroscopic resurfacing by inserting a small camera known as an arthroscope through a small incision in your shoulder joint. The incision is located strategically so that it won’t violate or injure the rotator cuff muscles. Dr. Agrawal completes the surgery by watching the images from the camera on a monitor to assist with the operation. 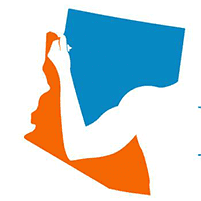 If you have arthritis in your shoulder, contact the Arizona Center for Hand to Shoulder Surgery for an in-person or remote consultation with Dr. Agrawal today.